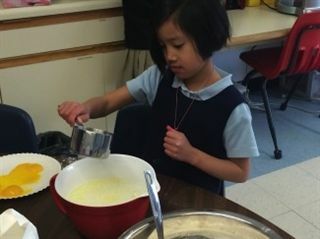 Lower School students have the opportunity to participate in an after-school club based on their interests. Each club is run by Lower School teachers for a six-week session at no additional cost to parents. Three different club sessions are offered in the fall, winter, and spring to grades 1-4. Each student is eligible to pick one club for the year. Previous clubs have included STEM, Lego building, fitness, and cooking. Clubs are offered on a first-come, first-serve basis and details on dates and offerings come out in the Weekly Newsletter in the fall.